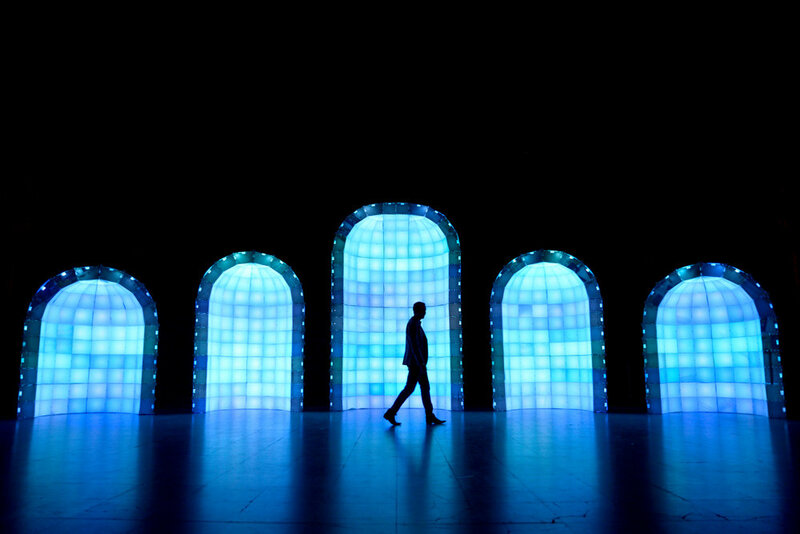 Ian Brill’s architectural interactive light installation, Gates. For the first time, Thrival collaborated with the Carnegie Museum of Art on a one-night only gathering of immersive art, AI-inspired exhibits, and keynote talks. The Thrival Innovation Marque Event featured CAM night featured a number of mind-bending new media artworks, multimedia performances, and demonstrations of technologies like robotics and augmented reality. While all works and exhibits were worth seeing, here are a few of the highlights. 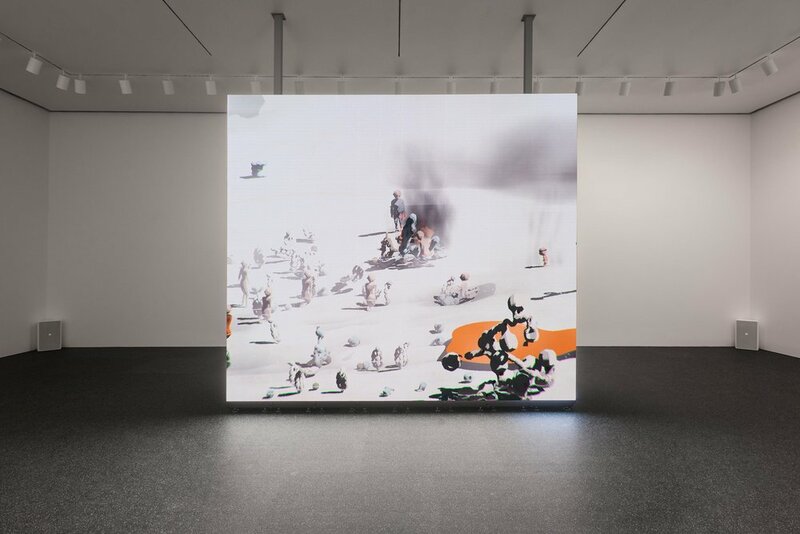 When attendees arrived at CMA, they were very quickly met by 33-year old Los Angeles artist Ian Cheng‘s large-scale live simulation. The work, titled Emissary Sunsets The Self, is a monolithic, evolving animated world that works with video game conventions to examine, via simulation, complex themes like human behavior, evolution, and consciousness through the ages. Ian Cheng’s large-scale animated simulation, Emissary Sunsets The Self. 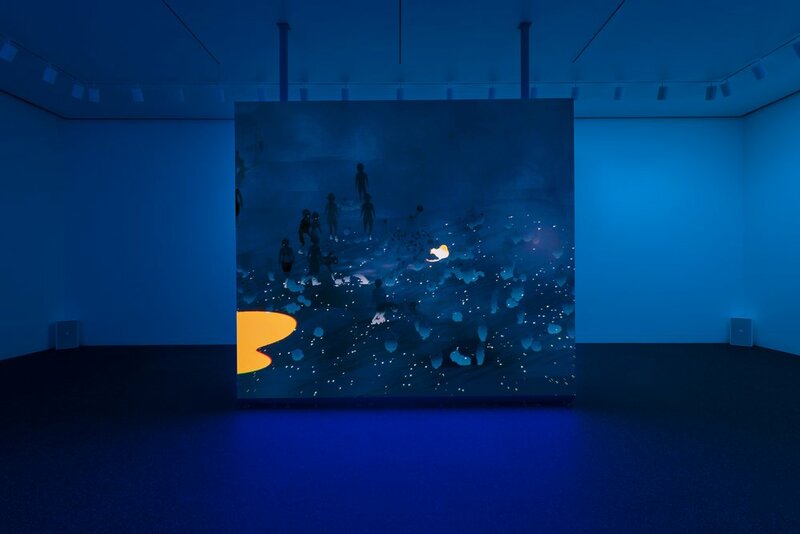 Like the other two works in Cheng’s Emissaries trilogy (2015-2017), his latest is set on a volcanic site, where the beings (Emissaries) and their environment are shaped and are shaped by an artificial intelligence. Another installation view of Ian Cheng’s Emissary Sunsets The Self. In CMA’s Hall of Architecture, artist Ian Brill presented his architectural installation, Gates. 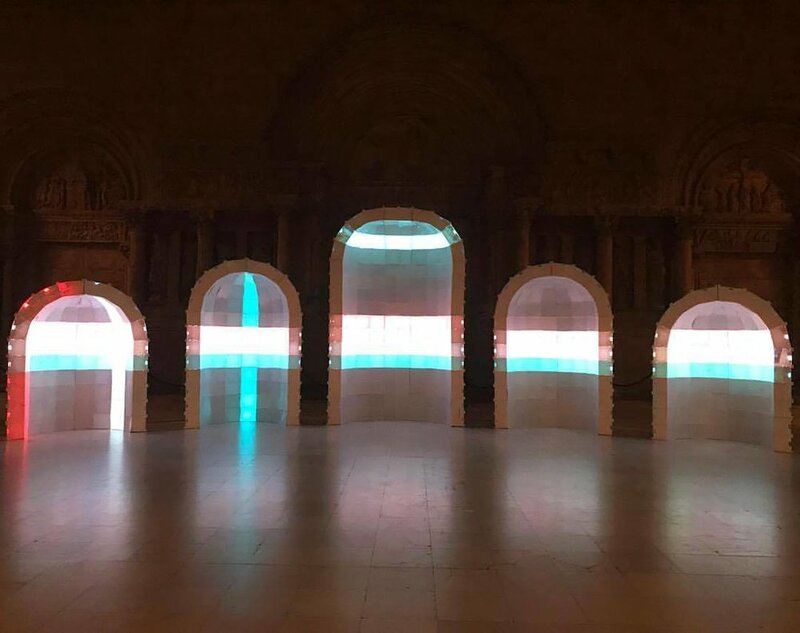 The piece, consisting of five half-domed structures outfitted with a number of LED squares, evolved throughout the night, both in their patterns, movement, and colors, all influenced by the motion of attendees. Another installation view of Ian Brill’s Gates. Augmented Hand Series, a work created by artists Golan Levin, Christine Sugrue, and Kyle McDonald, probably took the cake for the weirdest installation of the night. It also happened to be the most fun of the the interactive works. Visitors approached a box display, where they inserted their hand. A real-time interactive software system then rendered what the artists call “playful, dreamlike, and uncanny transformations” of their hands. Fingers got elastic, bending this way and that, and in various other ways becoming deformed. Visitors were also able to play with CEEMI, an interactive and collaborative electronic instrument. The creators of CEEMI—Gil Teixeira, Dario Teixeira, and Ricardo Peixoto—describe it as an “instant virtual music ensemble” that allows groups of people, without prior musical training, to create music together using a WiFi device like a smartphone, tablet, desktop or laptop.